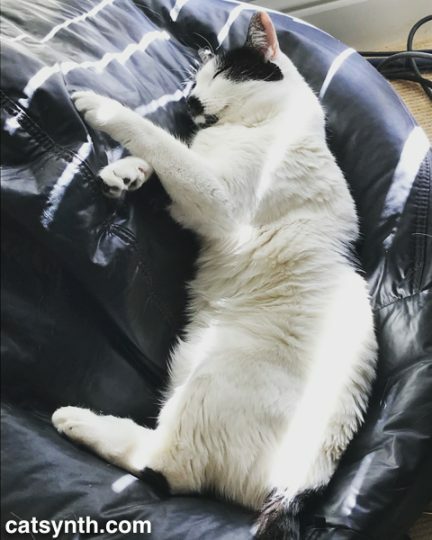 Sam Sam enjoys relaxing on the beanbag chair in the studio, even while I’m busy working on apps, music, or videos. I do often envy her approach to life. Posted on January 20, 2018 by catsynth	This entry was posted in Cats, Synthesizers and tagged cat, sam sam, Samantha, studio cat, weekend cat blogging. Bookmark the permalink. Good relaxing, Sam Sam. We envy her approach to life, too!